Your e-mail password is your last line of defense when it comes to online privacy and security. A hacker cracks that could reset the passwords of (and gain access to) your social networks, your bank account, and even your identity by taking advantage of the ubiquitous I Forgot My Password button. It's tempting to use the same password for all of your online accounts, but doing so puts every account in jeopardy if one of them gets hacked. In view of some recent massive security breaches, now's a good time to update your passwords and make sure that each is unique. 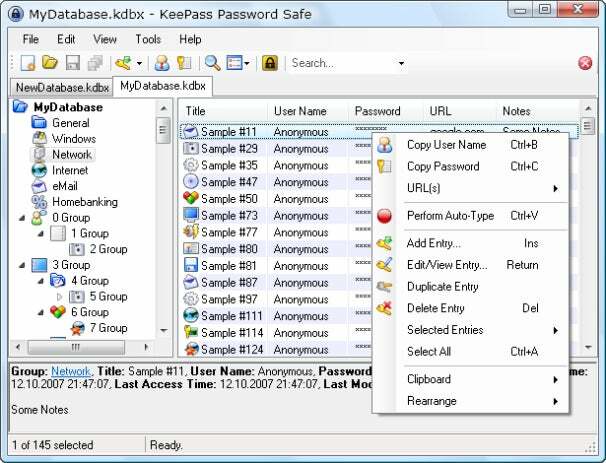 A few great password management programs like KeePass will store all of your passwords in one encrypted database and let you access them with one master password, so you can carry every password you’ll ever need on a single thumb drive. 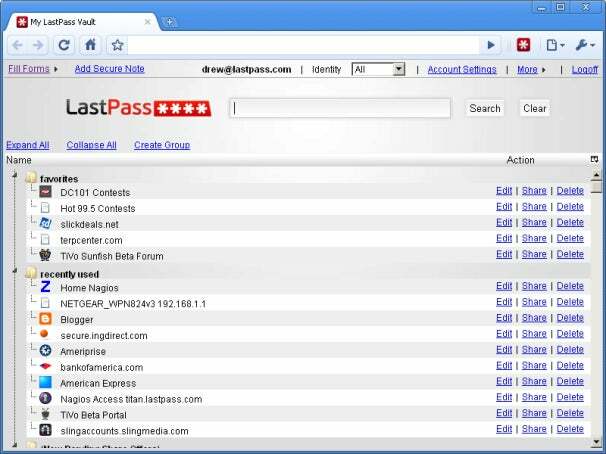 A multiplatform password manager with browser support, such as LastPass, is even easier to use because it automatically syncs between different computers and browsers, giving you access to your encrypted database from any device, though you do sacrifice the security of keeping your password list confined to a single hard drive. LastPass also has a handy plugin for every browser. Using a password manager is a great way to improve your personal security online, but it’s not perfect. The perfect password is one you never write down--a unique string of letters, numbers, and symbols that not even you know until the moment you enter it. That may be beyond our grasp, but you can get awfully close by using a few simple mnemonic tricks. It’s fairly easy to create strong, unique passwords by following a few simple rules. First, we need a password "base" with a mix of uppercase and lowercase letters, numbers, and even a symbol or two to spice things up. Pick a phrase that will be easy to remember, and feel free to be as creative as you like. For simplicity’s sake I’m going to use one of my favorite dishes, chicken adobo, as our example. Make sure your passphrase is at least eight characters and avoid obviously memorable topics like proper names, birthdays, and hometowns. You should also avoid picking a single word and changing some of its characters to symbols--hacker tools are sophisticated enough to overcome that trick. Go for a passphrase--multiple words strung together--rather than a password; this makes it harder for hackers working to crack your password by trying every word in the dictionary. Now that we’ve picked a passphrase, we need to mash that phrase into a single string (chickenadobo), and then sprinkle in a few capital letters that are simple to remember (ChickenAdobo). Next, let’s pepper our password base with a few random characters to keep things interesting (Ch!cken@dob0). Now that we have our base password, we’re going to memorize and use it as a skeleton key that will unlock our account on any Website as long as we hold fast to a few simple rules. To create the strongest password possible, we’re going to invent a simple naming pattern as a mnemonic device that will help us generate a unique password for every Website we visit. For example, let’s say I decided to always use the first and fourth letter of a Website’s domain name in the middle of my passphrase, capitalizing the former while leaving the latter lower-case. That means my Facebook.com account would have the unique password Ch!ckenFe@dob0, while my about.me account would require the password Ch!ckenAu@dob0. See the pattern? Make up something similar and you’ll have a unique alphanumeric password for every website you visit, one that’s easy to remember but nearly impossible for hackers to figure out. No password is perfect, but knowing your own unique passphrase and a few mnemonic tricks will go a long way toward keeping your online privacy intact.